What can I say about Shoretime? It was amazing! Never have I experienced such hospitable staff who greet you everytime you come back to the hotel. The rooms were made daily without fail and are outstanding beyond words. The location was perfect, right in the middle of all the clubs, bars and restaurants. But who needs that when you have Obama Grill and Andoks just downstairs! Overall, our stay at Shoretime has been very memorable. I'd like to say a big thank-you to all the staff and management at the hotel making it one of the best holidays ever! I would definitely recommend this place to everybody visiting Boracay, it's worth every pesos! 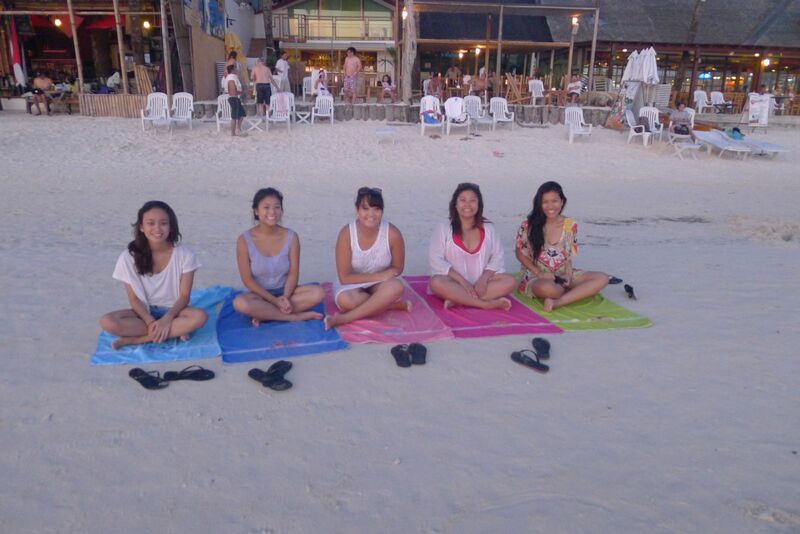 We had a great time spending our vacation in Boracay. 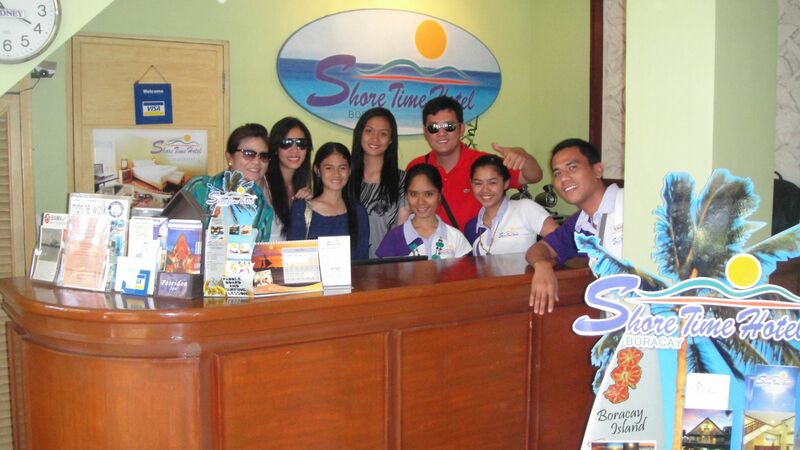 Shore time hotel is the best place to stay in Boracay. Affordable price and best service. Since from booking Gen is always helping us. And all the staff are very helpful and friendly. This is a place to stay in Boracay. We had a very good time in in Boracay, although the weather was not that perfect, it was staying at your place that filled the gap. Thank you also for accomodating our requests, including your effort to arrange a boat for us. On the way home we are already planning our next trip back, and guess what? We would like to stay again at your place. I already recommended your place to my friends here in China, I was pushing them to visit the Philippines ever since. after seeing some of the pictures I took there in boracay, I think some of them are already going to change their vacation plans. To the management and staff of Shore Time Hotel, we would like to express our sincerest thanks for your warm accommodation and excellent hotel service. There is no doubt that we shall be back to bring our families, relatives and friends to Boracay and this is because you have made our stay a very fruitful and memorable one. We wish you more success!Mabuhay ang Andoks group of companies.. Shore Time Hotel in Boracay is one of the best hotels I've ever stayed at! Their rooms are very cozy, super clean, and even includes free wifii. Moreover, the hotel/room makes you feel like you're really on that dream vacation because the ac, tv, shower, huge comfy beddings, lights etc are all built high-tech and are all high-end which made our stay very comfortable and nice. 5-star quality without losing that island feel! Most of all, we can't stop talking about how GREAT the staff is. Ive been to Bora multiple times previously, and never have I experienced a staff that accommodated us to the degree that they did. They had our luggage taken care of, ride to/from the airport, yummy breakfast serviced, they even offered to guide us on all our Bora activities. They always had a smile and made us feel safe and welcomed. We had a loft room with 2 huge balconies. The view of the beach was spectacular! It is very close to the beach (maybe 20 steps away). It is close to all the stores, restaurants, and nightclubs. 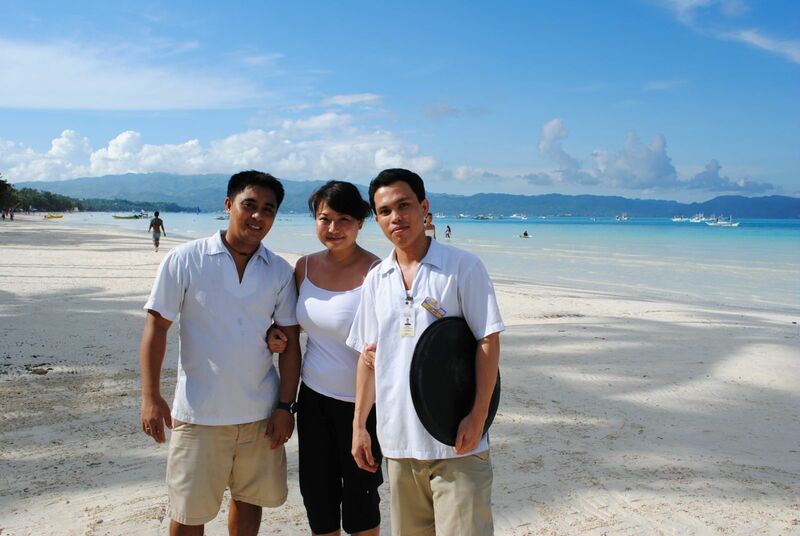 All-in-all the hotel and staff made our stay in Boracay very comfortable, fun, relaxing, and unforgettable. Thanks Shore Time Hotel & Staff!! !